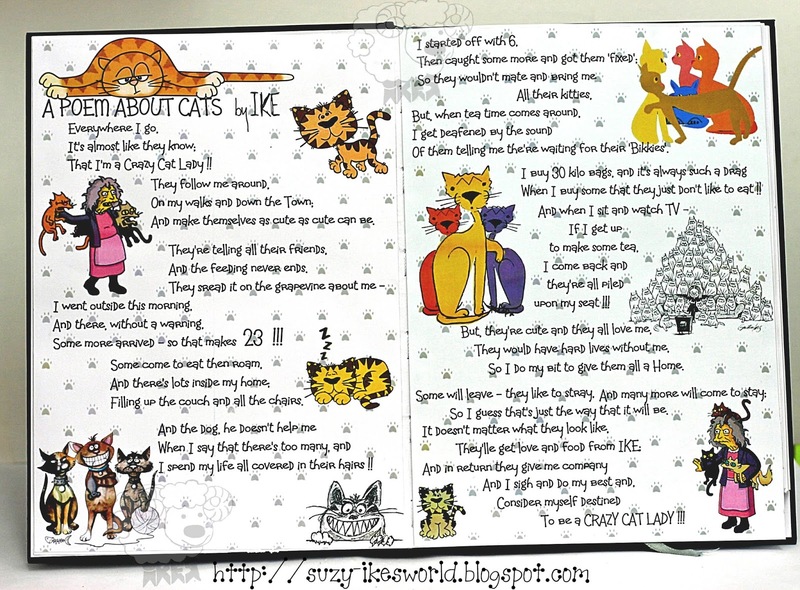 Hi there and welcome to our furbulous Challenge #4 - LUCKY KITTY, Week 5. Well - we can be lucky for all sorts of reasons can't we. ? Health, family, friends, good food, shelter and many things. 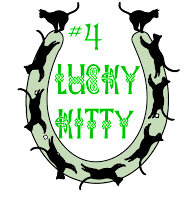 I am sure you can find something to feel lucky about - right ??? 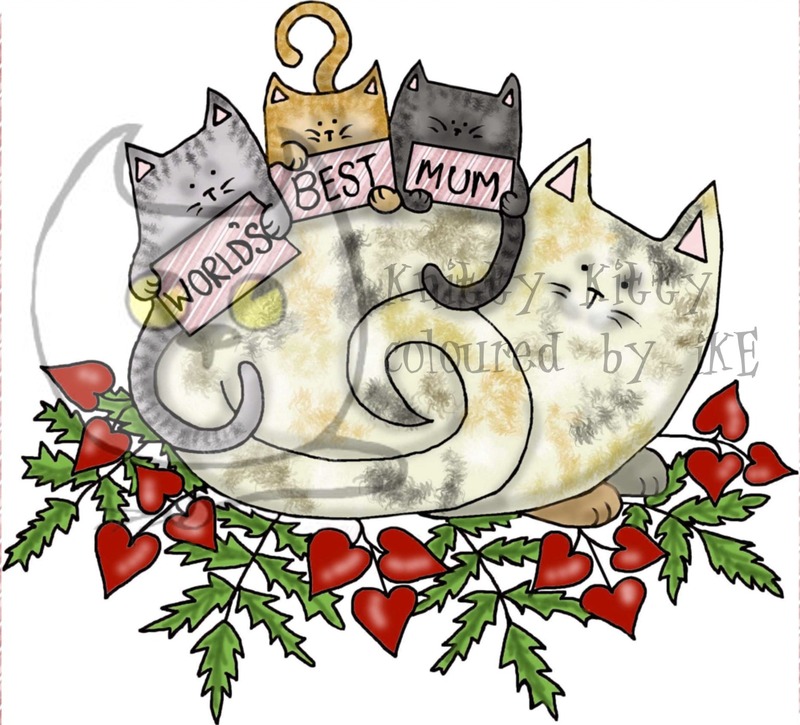 We have a 5 week month this time so an extra week with our Fur-bulous Sponsor KNITTY KITTIES, who have kindly offered 3 single Digital Images from their Shop to the lucky Winner. I went shopping for some Knitty Kitties last week and so today I have a newly coloured one to show you. 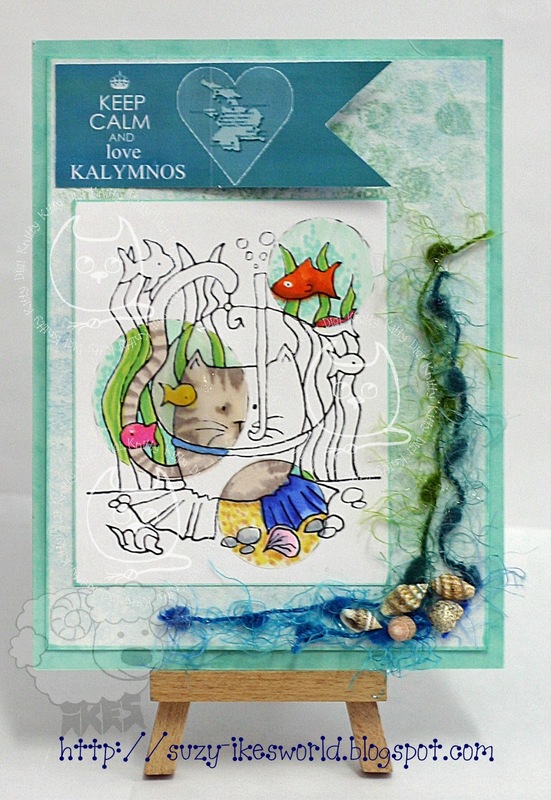 This is Knitty Kitty........" DEEP SEA DIVER ". My island here in Greece was once a major world supplier of sea sponges and the men used to go out for months on the boats to dive for them. Many of them were killed or injured with The Bends ( decompression sickness), due to the lack of proper diving equipment and safety. They no longer fish for them today and the sponges are starting to grow again on the rocks around us. The sea here is fabulous for Scuba diving and Snorkeling. 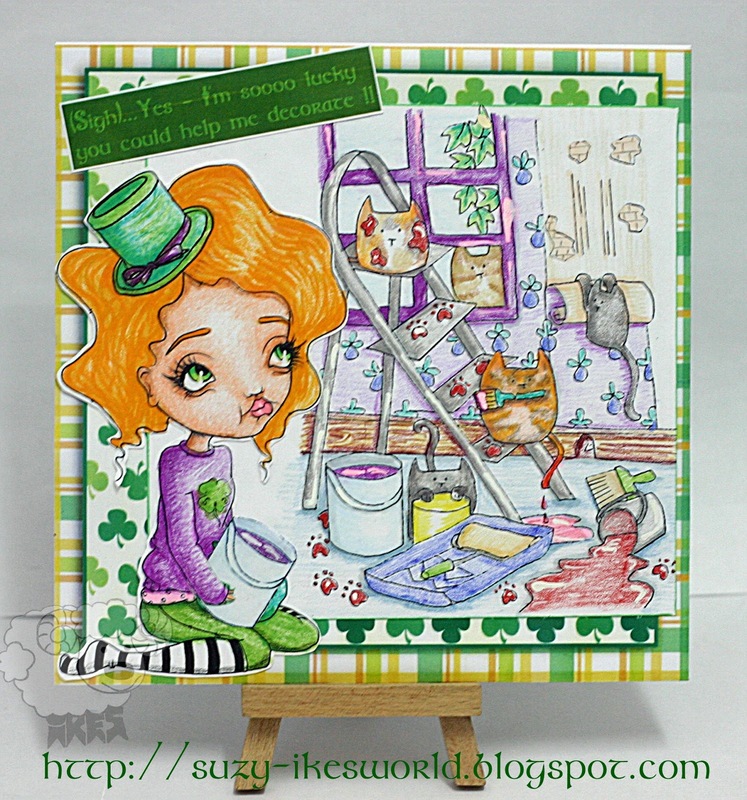 So, all you have to do fur this Challenge is produce a creation which has a CAT as the main feature and something to do with LUCK or St Patrick's Day or a lucky charm or lucky Kitty you have or whatever you count as lucky . 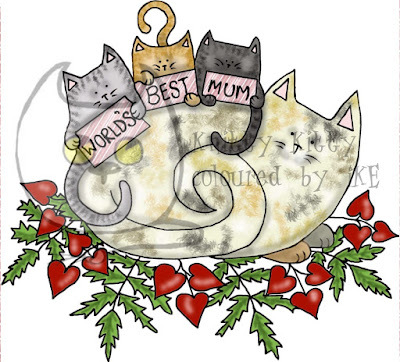 It can be any type of purr-oject and you may use ANY images you like fur these Challenges. I have some FUR-EEBIES fur you, so have a look up top of the Blog if you want to snag some. 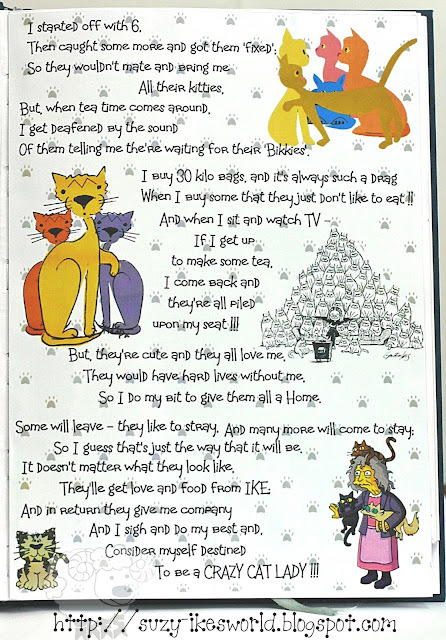 You will find Mr LICKY LINKY and your FUR-EEBIE for this month over on the posting for week 1 HERE. Challenge ends midnight Monday 4th APRIL 2016. Hi there and welcome to our furbulous Challenge #4 - LUCKY KITTY, Week 4.
l also did a double page spread in my Art Journal. 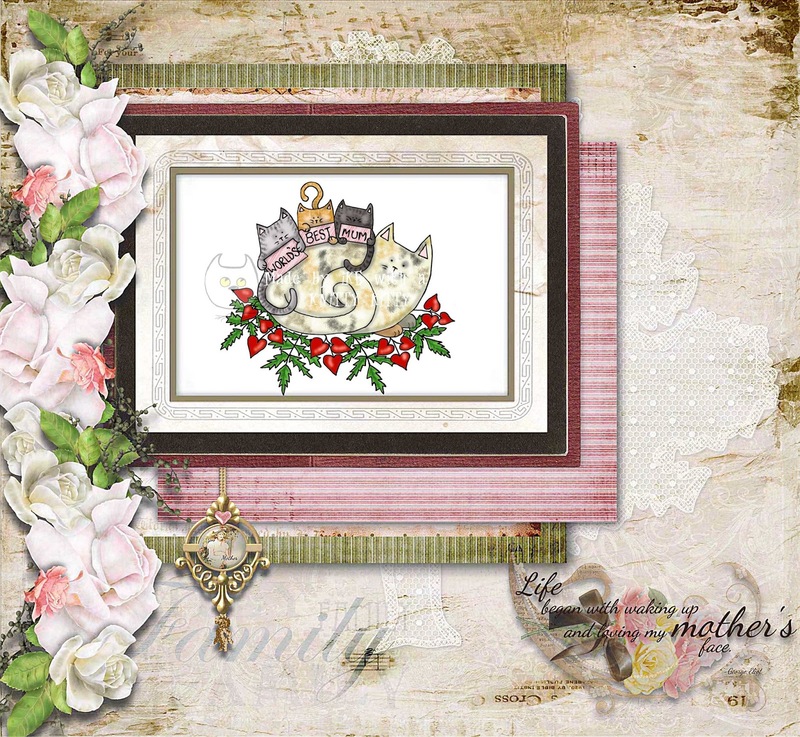 I used assorted images from MEINLILAPARK, BECCY's PLACE, SLS LINES, CREATIVE BUSY BEE and Free Kitty download. You will find Mr LICKY LINKY and your FUR-EEBIE for this month on week 1 HERE. 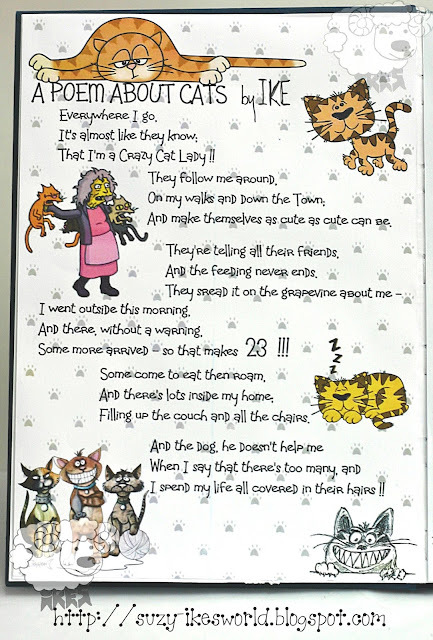 Hi there and welcome to WEEK 3 of our furbulous Challenge #4 - LUCKY KITTY. I am sure you can find something to feel lucky about - right ??? I went a-shopping and got me some more KNITTY KITTIES - they are so darn cute. When I was renovating my sweet Victorian house, I had got to the upstairs bathroom and a friend of mine offered to help me. Now, she is a bit of a neat freak so house decorating etc. was a bit of a nightmare for her. I was plumbing in my new bathroom suite and there she was behind me sweeping up at every opportunity BUT the main bugbear for me was her habit of picking up every tool I was using as soon as I put it down and putting it back into the toolbox. !!! Well - you can imagine how 'miffing' that is when you go to pick up your pipe wrench only to find it ain't there any more.... I say to her "Where is the pipe wrench ? " (and then I have to explain what that is !!) and then she says "Oh, I put it away "..... For goodness sake !!! WTF !!! You can imagine how frustrating that can be ???? The images were coloured using Prismacolour Pencils. 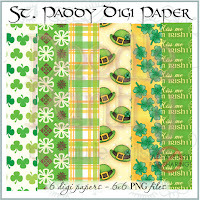 The Font I used for the sentiment is called 'Celtic Knots'.
" (Sigh_.... Yes - I'm soooooo lucky you could help me decorate !! " 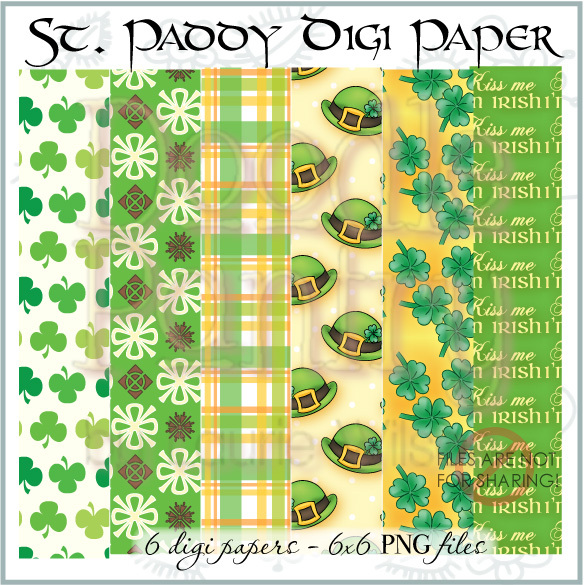 Background papers from Doodle Pantry ' St Paddy's Digi Papers '. 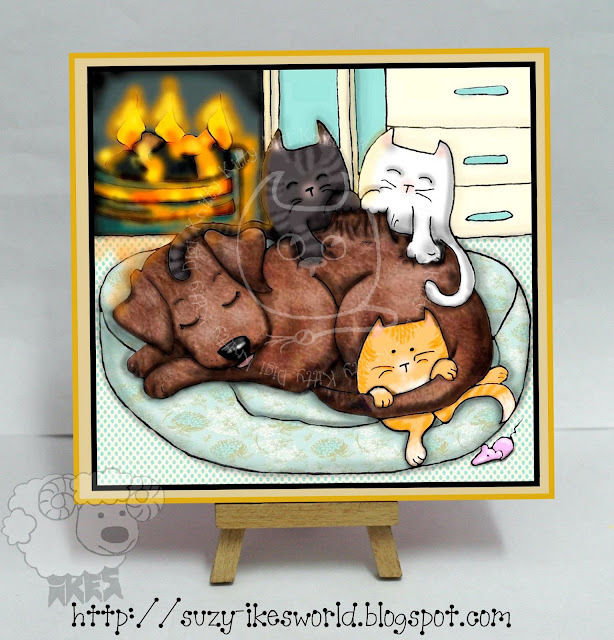 Hi there and welcome to our furbulous Challenge #4 - LUCKY KITTY, Week 2. Eekers gave me this lovely digi and I have tried to make it into something nice. !! !